The weather was fine with some cloud. 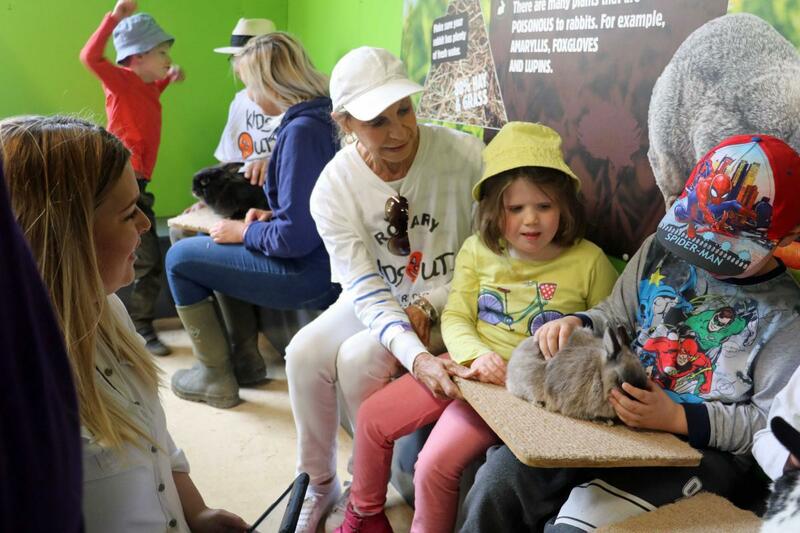 The children and carers enjoyed a tractor and trailer ride around the farm, time cuddling rabbits, guinea pigs and chicks, bottle feeding lambs and making full use of the equipment in a playground area. Then after a picnic lunch, the group walked around the animal enclosures with close encounters with sheep, lambs,goats, chickens, cows, calves, ponies and pigs. 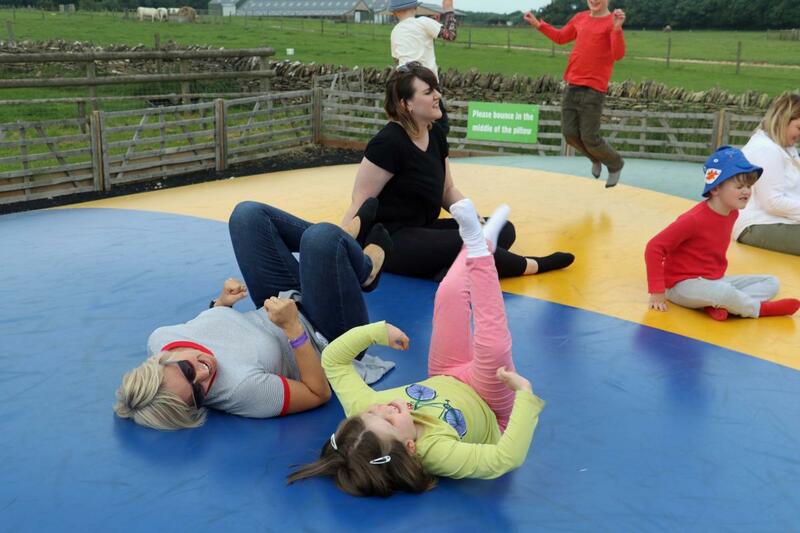 A grand finale to the day came with play on the giant air cushion. 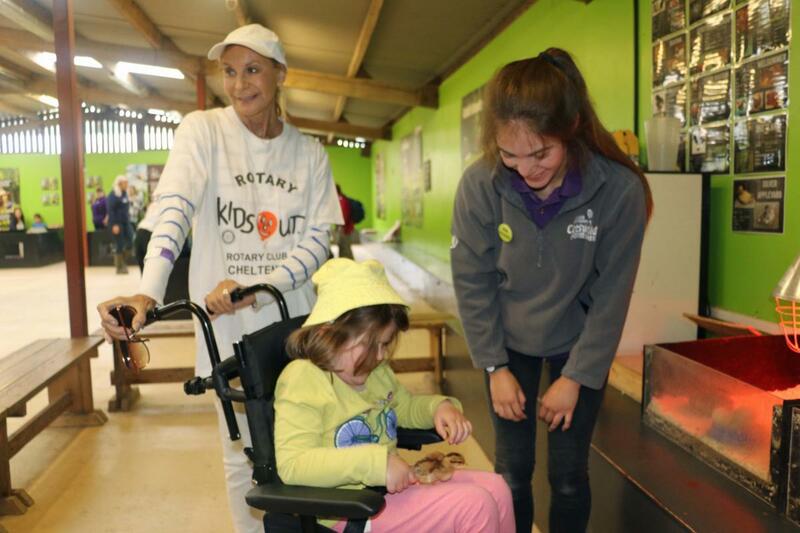 Finally some very happy and tired children boarded their school buses, each clutching a small cuddly toy rabbit and our five Rotarian Members relaxed with a coffee content in the knowledge that we had bought some enjoyment into the lives of some very challenged children. Since the event we've received an appreciative Email as follows. 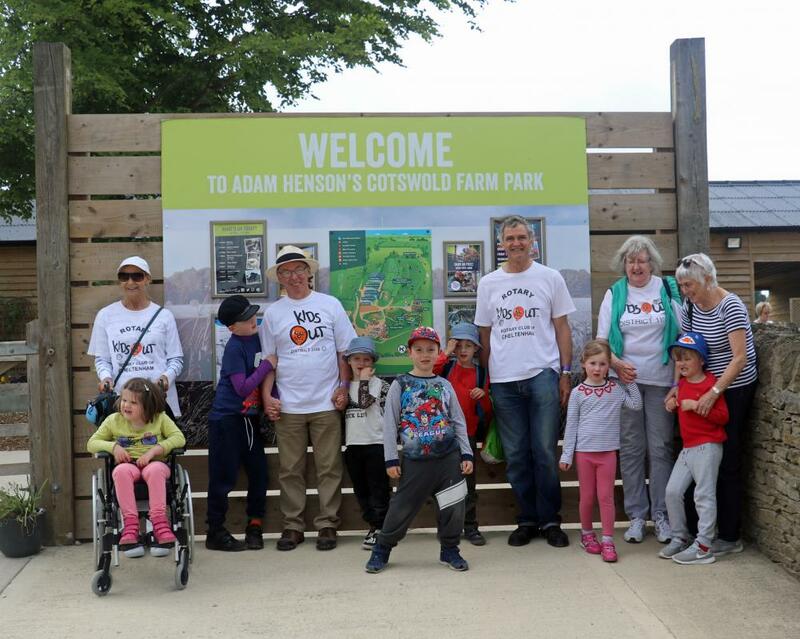 I am sending a big thank you to you all for arranging a trip for Orange Class from Battledown School today to the Cotswold Farm Park. My grandson - Charlie - was one of the children who went on the trip. The pictures sent of him enjoying all the activities during the day at the park showed what a lovely day everyone had. A big thank you to all the fund raisers and volunteers who made the day possible. Please do thank them all from Charlie's family. They are all very generous and kind people. From Charlie's Granny - who picked up a very tired and happy Charlie from school today.